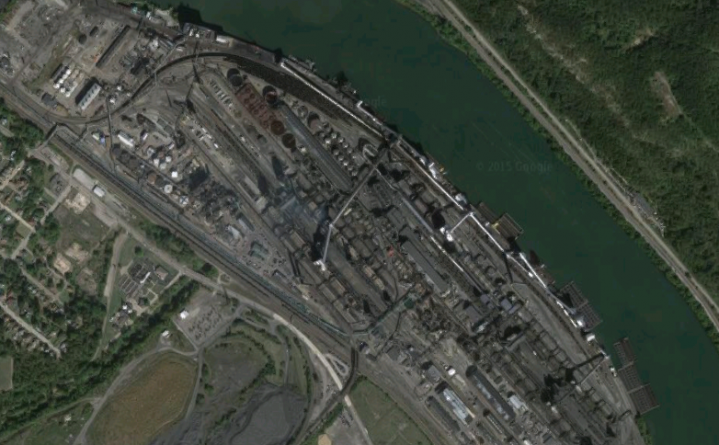 On January 28, our friends at PennFuture issued a 60-day Notice of Intent to Sue to U.S. Steel’s Clairton Coke Works, the largest coke works in the nation. The lawsuit addresses thousands of violations of combustion stack opacity limits and other regulations that the coke works is subject to, recorded from 1/1/2012 onward. The facility is about 11 miles from downtown Pittsburgh. It produces around 4.7 million tons of coke per year, as well as byproducts such as coke oven gas, crude coal tar, light oil, elemental sulfur, and anhydrous ammonia. The coke works is a major source of carbon monoxide, particulate matter, volatile organic compounds, hazardous air pollutants, and other types of toxic air pollution. The notice informs U.S. Steel that the conditions causing the violations must be corrected. Paying fines without fixing the problems isn’t an acceptable business practice. For the extra-curious, check out our documents on Clairton Coke’s air permits here. Stay tuned to GASP and PennFuture for updates on this important issue. PITTSBURGH – Earlier today, PennFuture announced a 60-day notice of intent to file a lawsuit against U.S. Steel’s Clairton Coke Works. Clairton is the largest producer of coke in the nation, and about 37,000 people live in the shadow of the Mon Valley facility. While the plant has been known to regularly exceed emissions regulations, PennFuture has found that it has been in violation of pollution limits approximately 6,700 times from January 1, 2012 to May 31, 2015. That’s akin to polluting over five times a day, every day for nearly three and a half years. The Environmental Protection Agency (EPA) describes coke emissions as among the most toxic of all air pollutants, and classifies them as carcinogens. Earlier this year, the Clairton facility landed near the top of PennEnvironment’s “Toxic Ten” list, which tracks the worst industrial polluters in the region. Despite a promise in 2012 that a new oven would bring Clairton more in-line with the laws in place to keep both nearby residents and its workers safe, the facility has continued to fall dramatically short of legal levels of toxic emissions. “Clairton is the largest producer of coke in the nation, it is obligated not to break the law, and should have the well-being of their workers and those who live nearby as a top priority,” said Rachel Filippini, executive director of GASP. “The emissions from coke ovens are among the most toxic out there – linked to heart and lung disease, cancer, adverse birth outcomes, and premature death. It’s time for Clairton and other industrial facilities across our region to comply with the law. Posted February 3rd, 2016 by Jamin in Blog. Every time the Clairton Coke Works pumps out those horrible emissions, I feel like my lungs are on fire. My asthma symptoms are greatly exacerbated on nights when the mill opens up and pollutes the air. Tonight I came very close to heading to the emergency room, the smell and air quality was that disgusting. As much as we like living in this area, the mill’s activities make it very difficult to want to stay here. It amazes me that an organization of that size has been alowed to degrade the environment and endanger the health of local residents for this long.